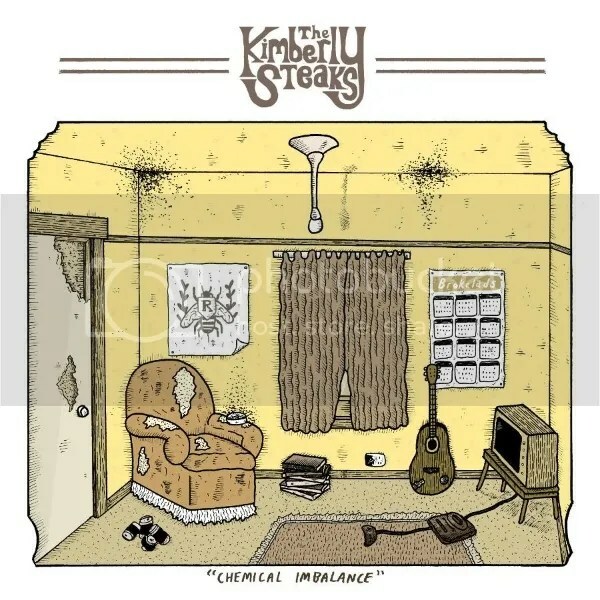 The Kimberly Steaks are a flesh ripping fast pop punk band from the Glasgow area who are coming off the back of a busy year, which featured releasing a cracking EP and completing an April UK tour with Austeros, along with a summer meat-themed tour with The Murderbugers. I recently caught up with Grieg, lead singer and guitarist, to see how he felt about 2015 so far. The Kimberly Steaks have had a really amazing 2015 so far – how does it all feel? We’ve had a great year so far, and we’ve done quite a lot considering how busy we’ve all been with other commitments. I always wish we could do more but real life always gets in the way. We’re really looking forward to playing Strugglefest for the first time too. It’s a really varied line up and there’s literally something for everyone. Steven [Hill, Struggletown Records promoter/producer] does a great job and his label is really cool so we’re happy to be involved. What have you enjoyed most about being in the band this year? The tour with Austeros in April was great, as was the summer tour with The Murderburgers. It was cool playing some cities we hadn’t played before. Wonkfest in London was really cool too, although playing in front of so many people on a massive stage felt pretty weird. Tam [bass in TKS], Fraser [Murderburgers’ guitarist] and myself organised Stuck in Summertime fest in Glasgow which was an amazing day. Oh, we got drunk and went in some caves in Nottingham; that was pretty good. And least, if you feel like talking about it? Our latest 7” was a total nightmare. The pressing was delayed by two months, and when we finally got it, the plant had pressed side A onto both sides and had to do it all again. We recorded it last December and it didn’t come out until June, by which point I was sick of the sight of the thing. Luckily I’ve still got a hundred or so copies sitting in my room as a constant reminder of that farce. I really enjoyed the cover on the latest EP, What made you choose ‘I’m into something good’? The Naked Gun was one of my favourite films as a kid and I always loved the scene with that song in it. It’s a great song and it’s really simple, so it makes a perfect punk cover. For my tuppence worth I think it sounds really funny and sarcastic alongside your other material, was this a big part in the choice? I don’t know about sarcastic, I really love the song and it’s a lot of fun to play it as fast as we possibly can. I changed the words to the final verse for the recording to keep it in line with the rest of our lyrics, but I doubt anybody noticed that. Who are your favourite bands in the Scottish/UK scene at the moment? I hate making lists because I always forget people. For Scotland, not surprisingly, The Murderburgers and The Lemonaids are my favourites. Both supported a well-known US pop-punk band in Glasgow a couple of weeks ago and, for my money anyway, blew them out of the water. I’ve been listening to the latest Min Diesel record a lot, it’s really great. Wonk Unit are hands-down the best band in the UK and I think a lot more people are going to hear them this year with the amount of touring they’re doing over here and in America. They deserve to be absolutely huge and I would love to see that happen for them. The new Bangers album is really good too. I really hope Paperjets record more stuff in the near future, their 7” is brilliant. Where can we see you playing soon? 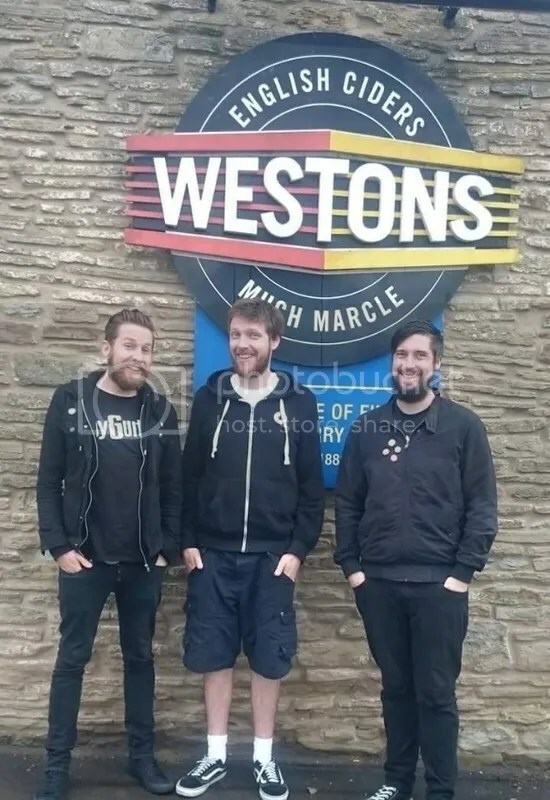 After Strugglefest we’re playing at the Pie Race Festival in Leeds and probably doing a few English gigs around that, so look out for updates on that one. We’ll be at Book Yer Ane too, of course. Are you planning on recording soon? We’re recording in November for a couple of different releases and there will definitely be a second album, but not until next year. We’re going to record some new songs and some covers for a few charity benefit compilations we’ve been asked to do as well. We always get asked to contribute songs to things and I always feel kind of guilty giving a song that’s already available for free online. We all work and two of us are at uni now so it’s sometimes hard to find the time to practice and record stuff. We’ve always been a part-time band, but I guess the upside of that is that it keeps the band from becoming a chore and keeps things fun. This entry was posted in Interviews and tagged chemical imbalance, interview, murderburgers, pop punk, punk rock, scotland, the kimberly steaks, to live and die in west central scotland. Bookmark the permalink.